Charter a turbo-prop or private jet to the coastal city of Myrtle Beach, a premier golfing destination along the shores of South Carolina. Hiring a jet into either (KMYR) Myrtle Beach International or (KCRE, CRE) Grand Strand Regional Airport is the most comfortable, secure and stylish way to travel, and our team is here to offer the highest standards in executive and leisure private flights. Air Charter Advisors offers on-demand private jet charter service to/from Myrtle Beach, South Carolina. When booking your private flight with us, you’ll gain an experienced jet charter broker who is ready to advise and arrange all the details for your upcoming flights at all hours – a true 24/7. We have access to thousands of certified private jets and turbo-props located throughout the United States and around the world, and we’re confident we will arrange the ideal plane for your trip at a competitive rate, whether you’re flying domestically or internationally. Our air charter company is Wyvern-certified, and all of the aircraft we use for flights to Myrtle Beach and surrounding areas of South Carolina are operated by FAR Part 135 or 121 (or foreign equivalent) air carriers. Enjoy the peace of mind you get from working with a broker you can trust, and let Air Charter Advisors be your local and global aviation solution for luxury air travel, aircraft acquisition and private jet management. 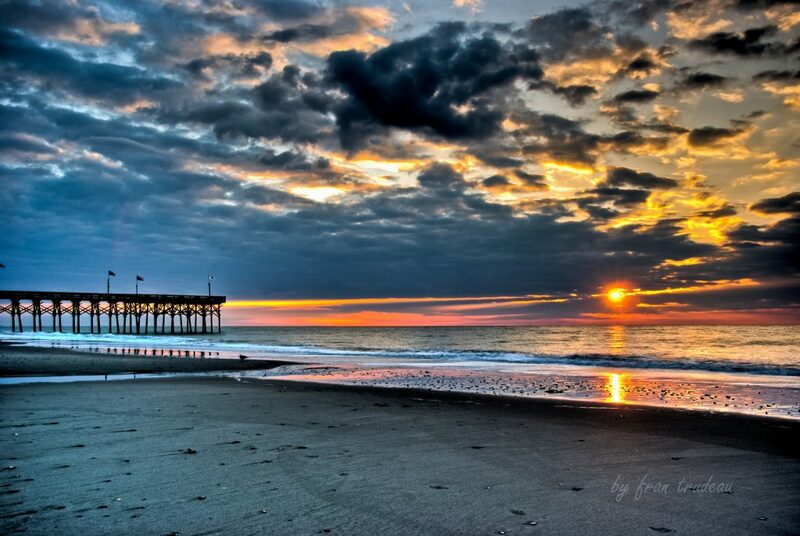 Call or request a quote for a charter flight to Myrtle Beach, South Carolina. Our team is here to help you with all of your aviation needs, from booking aircraft and creating a flight itinerary to arranging gourmet in-flight catering, luxury ground transportation or meeting any other requests you may have – consider Myrtle Beach Jet Charter your one-stop shop for all things private aviation in South Carolina. Thanks to Myrtle Beach’s southern charm, outstanding coastal weather and incredible golf scene, combined with its southern neighbors Charleston and Hilton Head, South Carolina is a popular region for general and private aviation, and the area surrounding Myrtle Beach is home to several airports for private charter flights. The airports listed below are located in Horry County – for more information on additional airports, check out our airport details section. Charter a business jet to Myrtle Beach and surrounding areas of Horry County, South Carolina with our on-demand executive air charter service. Air Charter Advisors was tailor-made to handle all of the aviation arrangements for your executive team, providing a wide range of executive concierge services to complement your flight; our Wyvern-certified jet charter brokers can arrange everything from multi-leg private flights with in-flight catering to luxury ground transportation and private helicopter lifts. We have access to thousands of private planes located across the country and around the world ready for your charter flight. Each and every aircraft we arrange are operated by FAR Part 135 or 121 (or foreign equivalent) air carriers, and we only use veteran pilots with a wealth of experience. Fly within the Carolinas by chartering a turbo-prop such as a King Air 350; fly your executive team throughout the Southeast and rent a comfortable mid-size jet like a Hawker 800XP; fly internationally aboard a Gulfstream G650, or other long-range jets such as a Challenger 605 or Global Express. Looking to fly a large business group for a corporate retreat? We can also connect you with corporate and VIP airliners. No matter what business ventures have you flying private to South Carolina, our friendly aviation team will be available to you 24 hours a day, 7 days a week to to arrange executive jet charter service to Myrtle Beach, South Carolina. Charter a luxury private flight to South Carolina and have a great time in this iconic weekend-fun town. 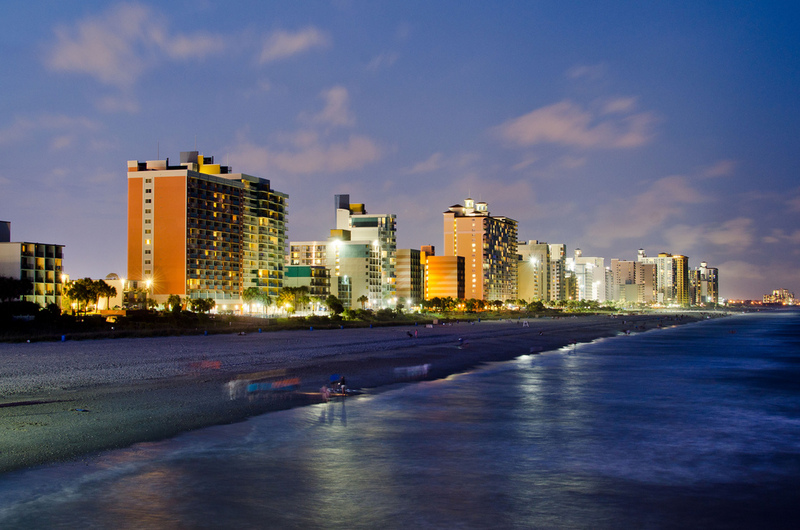 Myrtle Beach is known all over for its decadent white sand resorts, gourmet restaurants, and vacation vibe. Most visitors are there simply to take advantage of some of the nicest resorts found on the east coast, while others want to enjoy a few rounds of golf or perhaps spend a day or two at the local amusement park with their family. Whatever brings you to this weekend getaway town, you’re sure to have a great time. Private flyers can take advantage of the several conveniently located airports in the area, luxury shuttle systems, and an overall readiness to accommodate luxury private jet travelers. Charter a private flight to Myrtle Beach and spend your mornings sleeping in, your days baking on white sand beaches, and your nights sipping oversized daiquiris to the sound of late night karaoke. An exciting amusement park and tons of gourmet restaurants, nature parks, and bars ensure that you have plenty to do when you hit the town. While the resorts hang back, acting as safe houses where you can recover after a day of sun, alcohol, and fun. Drinking is far from the only option in this city. Whatever your fancy is, from running and biking, to museum exploring and bar hopping, Myrtle Beach offers only the best. 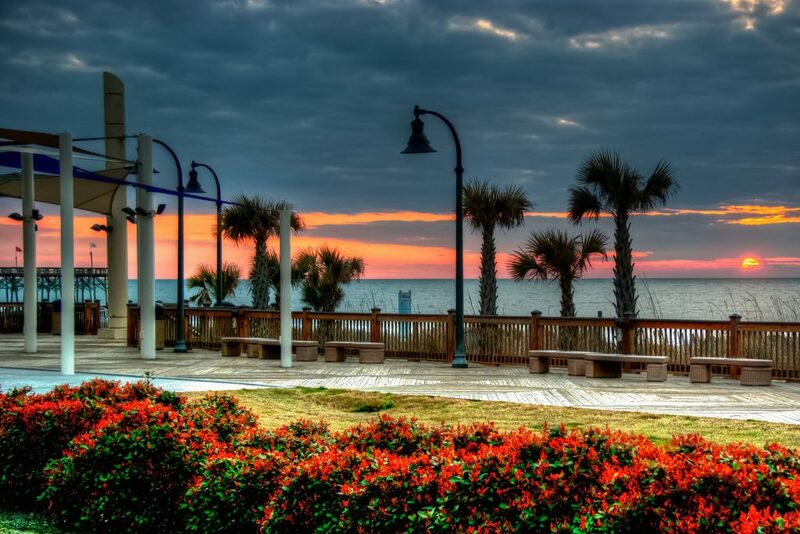 Head out to North Myrtle Beach which offers a much more relaxed pace than its better-known sister town. Or take advantage of the numerous nature parks and water sport activities that are found throughout the area. On a family vacation? Then your best option is probably a morning at the Ripley’s Aquarium and an afternoon at the Family Kingdom Amusement Park. Or if your family is into outdoorsy attractions, the Myrtle Beach State Park is a good option for a day enjoying nature, hiking, biking, or just relaxing. 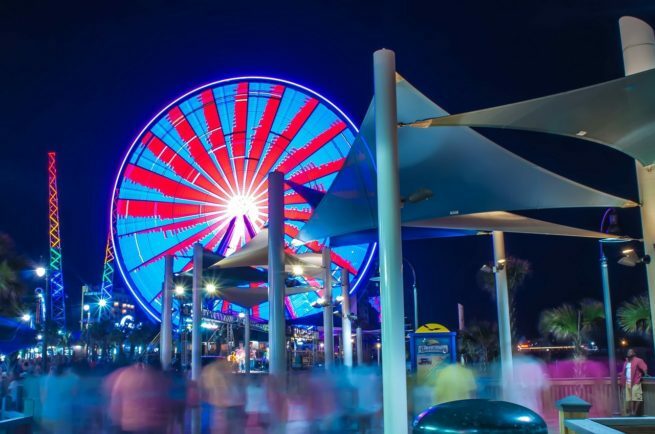 Myrtle Beach has so many attractions that you could spend weeks there and not get to everything; it really is the premier East Coast destination for family vacations and couples retreats. 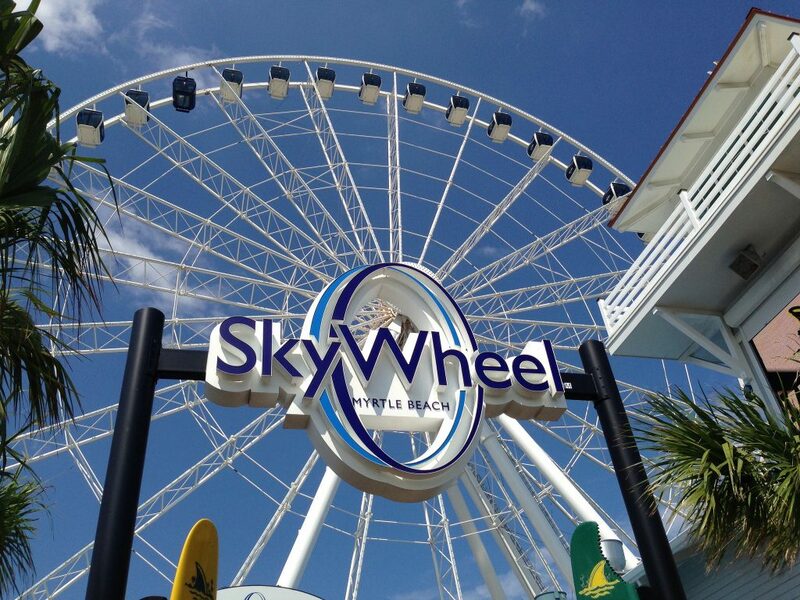 Whether you want to play a round of golf or sip a martini, hit the parks with your family, or lounge out in a lawn chair, it’s all right in front of you in Myrtle Beach. However, to help you plan out a good itinerary, our private jet charter team has compiled a list of the best attractions for private jet travelers in the area. Myrtle Beach is synonymous with world-class golf, and visitors from all over the southeast and snow birds to the north travel to “The Grand Strand” to enjoy some of the finest golf along the Atlantic. Myrtle Beach and the area around the Grand Strand is often referred to as the “Golfing Capital of the World”; the region is home to more than 120 golf courses, many of which are built by world-renowned course designers, and the area holds the world record having hosted more than 4 million rounds of golf. The most popular courses include the Barefoot Resort, the Dunes Golf and Beach Club, Ocean Ridge Plantation, Caledonia Golf and Fish Club, and the Tidewater Golf Course and Plantation, as ranked by the Myrtle Beach Golf Association (mbga.com). If you plan on packing your clubs aboard your private jet, check out the Barefoot Resort – ranked as the top golf course in the area by Golfdigest in 2010, the resort offers offers dining, shopping, and lodging, in addition to four world class courses: the Fazio, the Love, the Dye and the Norman. Short on time between business meetings? 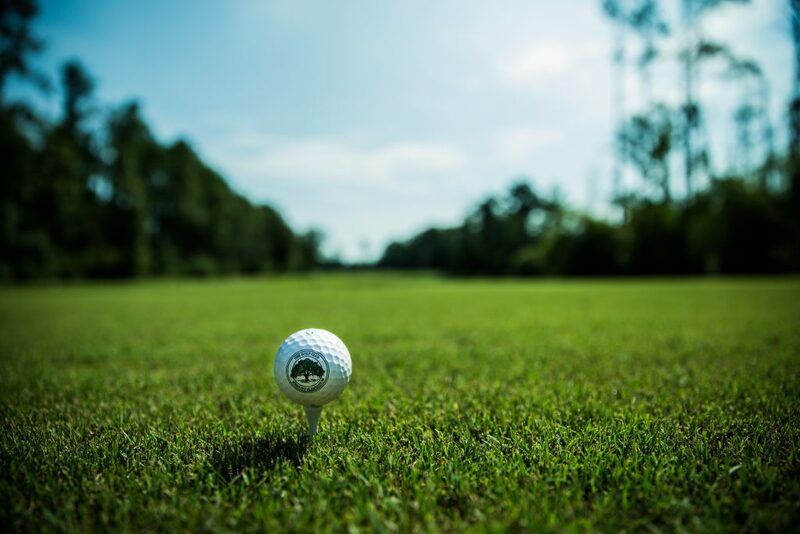 Head over to The Tidewater Golf Course and Plantation, a nine hole course known to be one of the more scenic courses in the area; the course cuts through a forest and includes water hazards on six of the nine holes. No matter where you plan on teeing up, keep in mind that many of the courses in Myrtle Beach are available as part of a deal with other courses, lodging, and dining options, and you may be able to include several golf courses, as well as dining courses, as part of a package deal. Chartering a luxury private flight to Myrtle Beach is a great way to make your next family vacation really memorable. As the premier east coast destination for fun and relaxation in the sun, this city doesn’t mess around when it comes to luxury and comfort. A variety of resorts stand ready to fulfill all of your desires, while you’ll find a ton of luxury bed and breakfasts in the neighboring North Myrtle Beach. For one of the best resort experiences on the East Coast, head over to the Marriott at Grande Dunes Resort and Spa. It boasts 2,200 acres of gorgeous land overlooking the Grande Dunes Marina, an elegant yet casual gourmet restaurant with an award winning chef, and a long list of other amenities that will ensure your comfort for the duration of your stay. This resort is also perfect for kids – there are water slides, multiple pools, a lazy river, and lots of other activities for the kids to enjoy. If you’re hoping for a more relaxed and intimate experience, then look no further than the Anderson Ocean Club and Spa. This four-star boutique resort really shines if you’re hoping to play a few rounds of golf in between bouts of cocktails and relaxation. Whatever your plans are while you’re there, the best way to get there is via luxury private jet. Air Charter Advisors is determined to fulfill every private jet traveler’s needs, so our team put together a list of the top hotels in the area. Based on feedback from Myrtle Beach Air Charter clients, online reviews, and amenities offered, there’s sure to be something on the list that piques your interest. Air Charter Advisors utilizes the following airports to fly clients privately to/from Myrtle Beach, South Carolina and neighboring areas. Air Charter Advisors believes in providing private flyers with a one-on-one consultative service experience that exceeds every expectation. We understand that your time, privacy, flight preferences and most of all, safety, are all extremely important, and our services reflect that. Our private jet charter representatives are available for you by phone and email 24 hours a day, 7 days a week. When using our private aviation service, you can expect quick response times and an easy, hassle-free booking process. Let us use our experience in working with high profile celebrities, top tier business executives, affluent travelers, and everything in between to ensure that you get the best private flight possible, whether it’s your first private flight or your hundredth. Request a Quote or give us a call at 1-888-987-5387 to speak with one of our Myrtle Beach Private Jet Charter agents for your next luxury vacation, business trip, or special events.